MONTGOMERY Malcolm B. 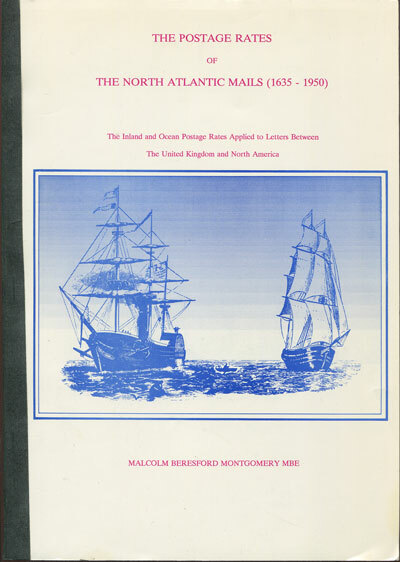 - The Postage Rates of the North Atlantic Mails (1635-1950). The inland and ocean postage rates applied to letters between the United Kingdom and North America.